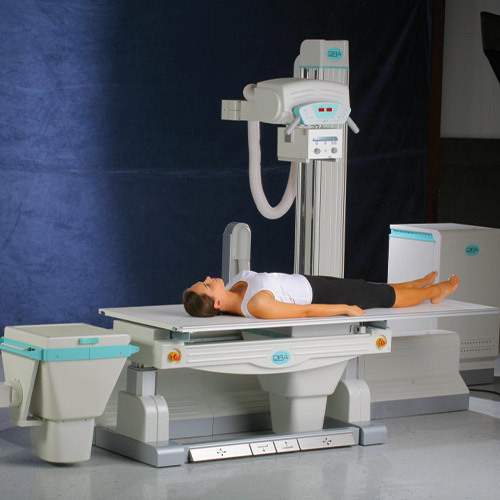 For highres pictures of digital X-ray machines, the camera must be exactly adjusted to the X-ray tube. For pretty flexible operation, different axes are electrically moveable. Therefore, the adjustment of the camera to the X-ray tube can be as precise as possible, the positions of the axes are measured with draw wire sensors of the series wireSENSOR. With this gang control the camera and the X-ray tube can be moved parallel.